Australian newspapers carried stories this week about Pea Horsley, an English woman who is coming to Australia. Ms Horsley can read your pet’s mind – even if they’re dead. Horsley, an ex-theatre manager, says she was a confirmed atheist and sceptic, until she went to a seminar she thought was on training animals, or reading your dog’s body language. At least that’s what she thought it was. But the title was a little bit misleading – it was really about communicating with your animal, which turned out not be the same thing. What’s its favorite TV show? She soon found herself communicating telepathically with a rabbit who told her he liked to sit on the sofa. The rabbit had a favourite TV show: You’ve Been Framed. Soon somebody else was communicating with Horsley’s cat: via a photo of the cat. (By the way, the rabbit communication seems to have also been via a photo, that’s what they all brought on the first day. Soon she was studying ‘to master level’ at the College of Psychic Studies. In Australia, she’ll communicate with your animal, tell what it thinks and teach you the same, for only $425 (about the same in US dollars). Her website (www.animalthoughts.com) shows lower fees for consultations in the UK, and it’s not clear if the $425 in Australia is for consultations or a seminar where you learn to do it yourself. This all got me thinking. If we could talk with our animals, what would they tell us? I don’t think my dog has very complicated thoughts. Perhaps that’s because I haven’t trained him to read or solve complex tasks that stretch his mind. I suspect his most complicated thought is, “I want more walkies.” I had a more intelligent dog in the past. I’ve owned four Dalmatians at different times. The first, Engels, used to dig holes to bury his bones. But he didn’t bury the bones. He’d drop them in the hole and then lie with his chest in the hole so the second Dalmatian, Waldo, couldn’t get them. But what about a rabbit? Can it really have a favorite TV show? What does a tortoise think about? 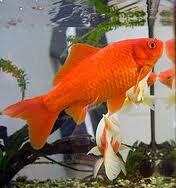 Would it be worth paying $400-odd to discover what a goldfish thinks? Is the fee just? Should there be a sliding scale based on the complexity of the thought? On that basis, communicating with an elephant should probably cost a few thousand. Pea says she knows vets who can communicate with animals but they keep it quiet. Have you ever communicated psychically with your pet? Did they tell you about their favorite TV program? am I too skeptical? Anything else interesting to tell us? Please share! Previous PostThe world is getting stranger: stealing bridges.Next PostThe world is getting stranger: two hours to make a lunch box. I don’t think it is actually our business to go fishing through somebody else’s personal information whether you are a psychic or a tax investigator! And, personally, I am a little skeptical of mind reading generally. Hmmm, do pets have a right to privacy form mind-readers? I wonder. My dog loves the Graham Norton show. Seriously, she does! I’m not really sure I’d want to know what my pets are thinking. Half they time they probably think I’d make a great snack and really, I don’t need to know that. Hi, Tameri, I never thought of that snack angle. It’s a little disconcerting. Thanks for stopping by. The thing that bothers me is the element of exploitation when we are dealing with a dead pet. People miss them so much that they will lay down a wallet full of money for even the most tenuous contact. It bothers me that someone would take advantage of that. I don’t personally believe that anyone needs a specialist to figure stuff like this out. Moose, a dog with his own facebook page, mostly thinks things like, “Don’t leave me.” and “Car!” (which is like squirrel from the movie Up). Also “Dinner!” My beagle is a little more complex. She plans things. One day she will rule the world.